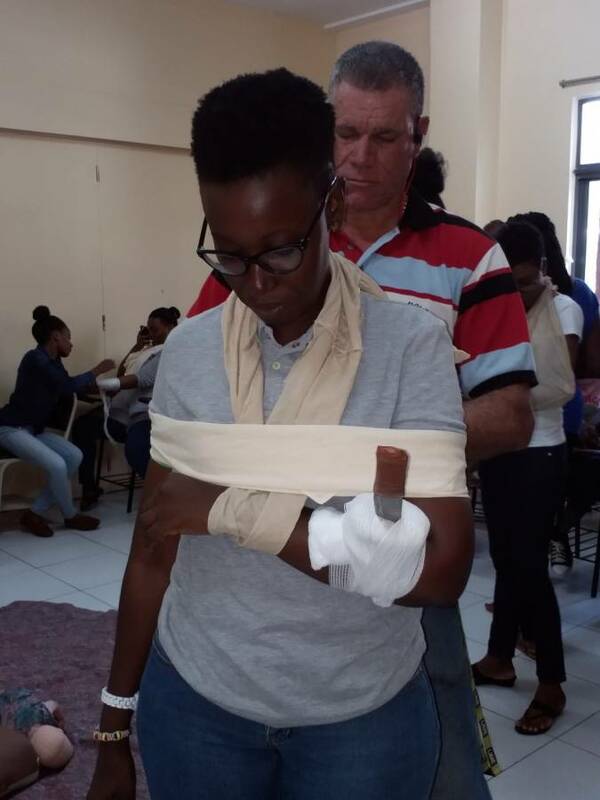 The 6 training opportunities provided under TA Marryshow Community College (TAMCC) Super Saturday Sessions project sponsored by the Canada Fund for Local Initiatives came to a close on Saturday, 24 November 2018 with Basic First Aid. 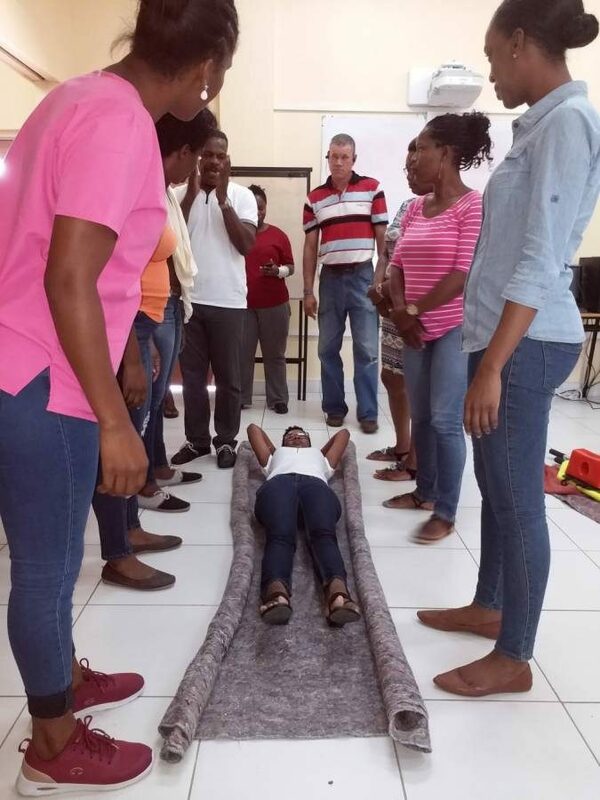 27 participants from the parishes of St John, St David, St George, St Andrew, St Mark and St Patrick were trained to deal with basic healthcare emergencies including the administration of cardiopulmonary resuscitation (CPR). 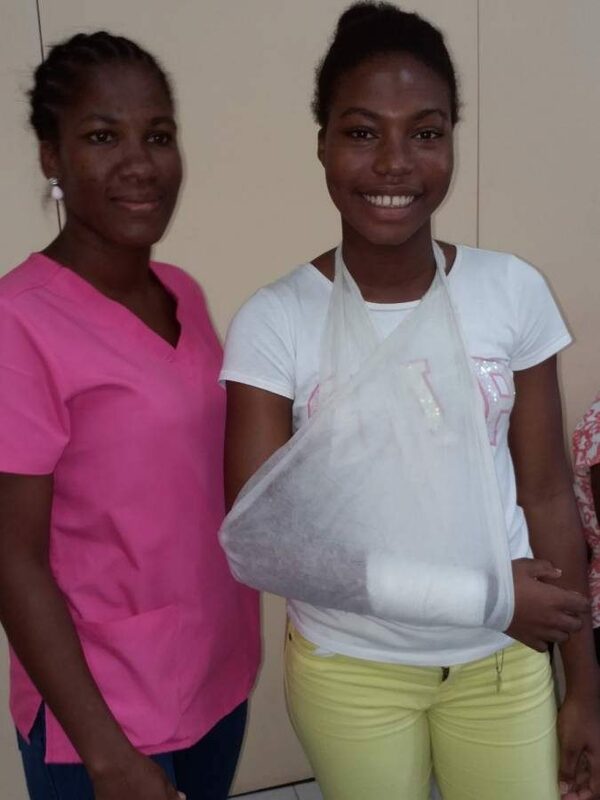 Additionally, they learnt how to treat victims who were experiencing strains, sprains, shock, choking and various wounds. The session was facilitated by Superintendent Sylvan Mc Intyre and John-Mark Forshaw at the college’s Natural and Related Sciences Building, Tanteen Campus. Many of the participants commented that the session was informative and will have a significant impact on their lives going forward. The other sessions implemented under the project were Sexual and Gender-Based Violence, Basic Self Defence, Personal Financial Management, Business Plan Writing and Basic Home and Car Repairs. Ayanna Williams, Project Lead expressed heartfelt gratitude to the Canada Fund for Local Initiatives for its financial support to the college’s innovative approach to the empowerment of women and girls in Grenada to reduce their chances of becoming victims of sexual and gender-based violence. For more information please contact Ayanna Williams on 440-1389 ext 2344, 405-0794 or via email at ayannaw@tamcc.edu.gd.